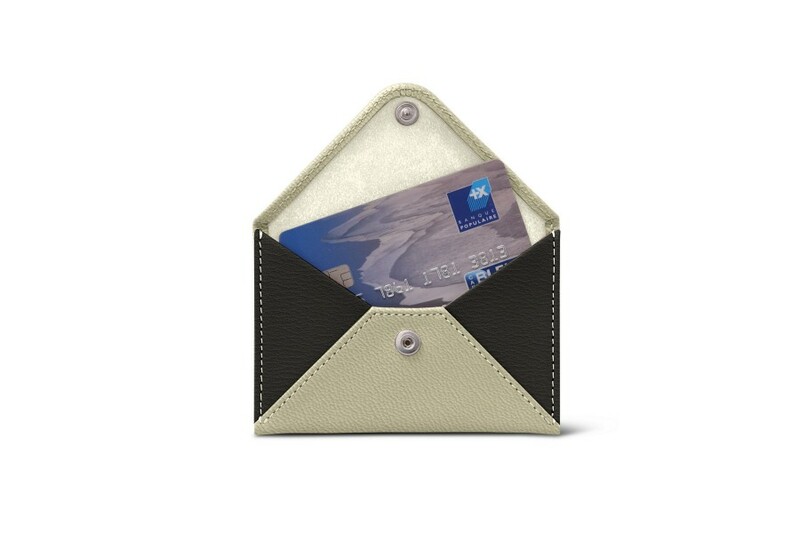 Take a look at our Flat card bicolor holder for business cards or credit cards. 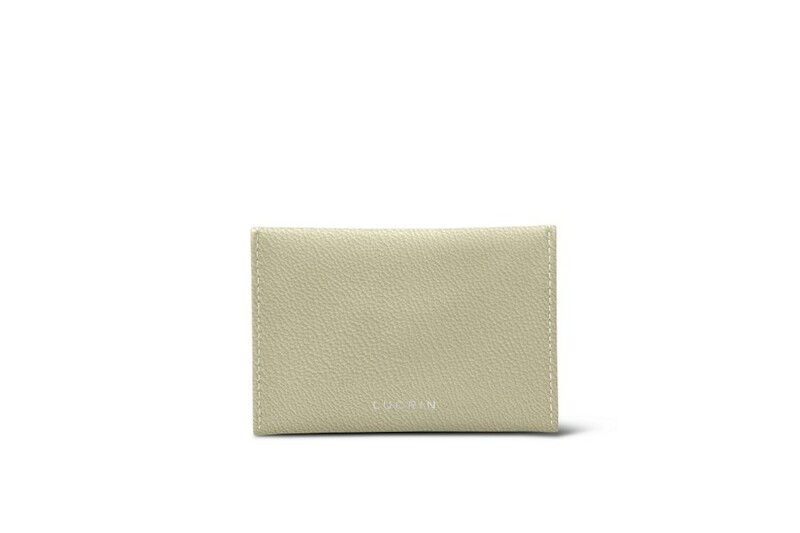 This luxury leather accessory holds up to 5 cards. 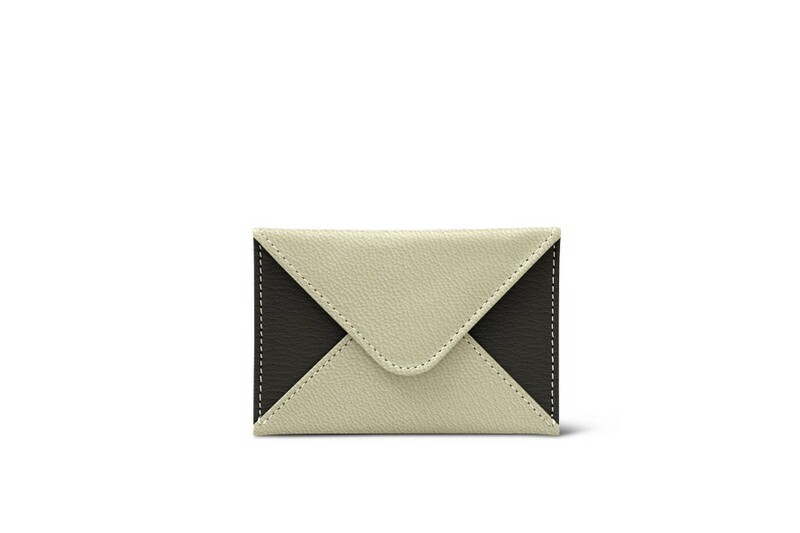 The envelope-like case has a snap button closure to keep your cards safe. 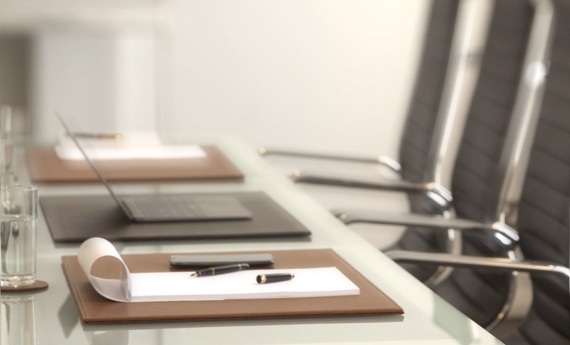 Its small size makes it perfect for slipping into a pocket or bag. This item can be customized, for example with contrast stitching, to create a truly unique gift.